Cheer on the boys and girls from Alpine, Antelope, Gibson, Keppel Academy, Lake Los Angeles, and Pearblossom in this two day soccer tournament. The Ballet Folkloriko club has started this year at Barrel Springs Elementary. Ballet Folklórico Club is a great opportunity for students interested in performing arts, dance, and Mexican culture. The students will be performance for the school and parents at the end of the school year. Join us in cheering on the students from Alpine, Antelope, Challenger MS, Daisy Gibson, Keppel Academy, Lake LA, and Pearblossom in a fun track meet. Starting Wednesday 4/25/18. Open to grades K-6 -students will learn the foundation of the Mandarin language including common words, phrases, and principles. In partnership with the Castaic Union School District, RISE is offering 9 weekly themed summer programs. Basketball club will be skills based, giving the students a chance to learn both the basic skills of basketball and competition skills. The club will start September 13th and will meet every Wednesday for six weeks. The last day of practice will be October 18th. Cheer on the students from the Keppel Union School District at this two-day soccer tournament at Littlerock High School on 2/4 and 3/4. Boys and girls competing from: Alpine, Antelope, Daisy Gibson, Keppel Academy, Lake Los Angeles, and Pearblossom schools. Come out on Saturday, December 10, 2016 to support the Keppel Union boys and girls basketball teams from Alpine, Antelope, Daisy Gibson, Keppel Academy, Lake LA, and Pearblossom. The second day of their two-day tournament starts at 8:00am at Littlerock HS. Congratulations to the Drama Club at Keppel Academy on their great performance of Bedtime Stories (As Told by Our Dad)(Who Messed Them Up) on Thursday, November 17th at 5:00pm in the auditorium. Play Details: It's Dad's turn to tell his three rambunctious kids their bedtime stories, but when he gets fuzzy on the details, the classics get creative: a prince with a snoring problem spices up The Princess and The Pea, The Boy Who Cried Wolf cries dinosaur instead, and Rumpelstiltskin helps turn all that pesky gold into straw. You may think you know your fairy tales, but not the way Dad tells them. Cheer on the boys and girls from students Alpine, Antelope, Daisy Gibson, Keppel Academy, Lake LA, and Pearblossom schools in their first of two volleyball tournaments! Littlerock High School (8:00am - 2:00pm). Come and support the boys and girls teams from Alpine, Antelope, Daisy Gibson, Keppel Academy, Lake Los Angeles, and Pearblossom at the second of two basketball tournaments. Come cheer on the boys and girls from Alpine, Antelope, Daisy Gibson, Keppel Academy, Lake Los Angeles, and Pearblossom schools as they compete in the first of two basketball tournaments. 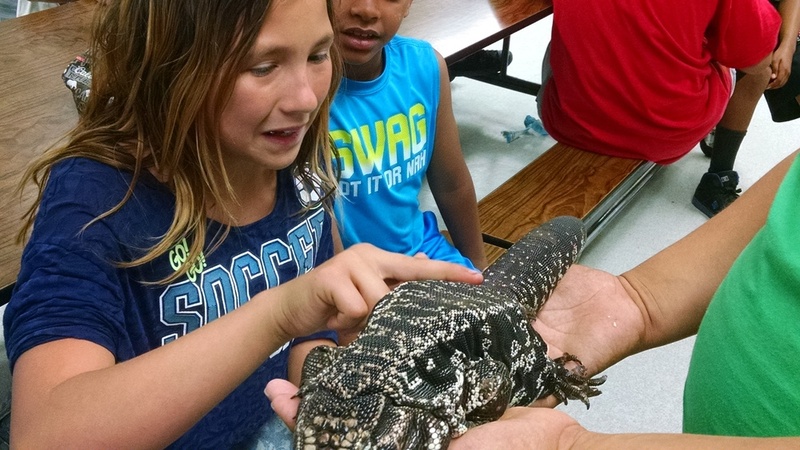 The RISE Piute students got up close and personal in their animal education presentation on December 8. The students learned about the habitat and lifestyles of alpacas, tortoises, chickens, goats, and rabbits in a hands-on environment. Congratulations to the Keppel Union School District boys and girls from Alpine, Antelope, Daisy Gibson, Keppel Academy, Lake Los Angeles, and Pearblossom schools who participated in the 10/3 and 11/14 volleyball tournaments! The Alpine boys and Keppel Academy girls faced a lot of strong competition on their way to first place victories. Welcome back to the 2015-2016 school year! We look forward to seeing all of our returning students and families on August 10, 2015. 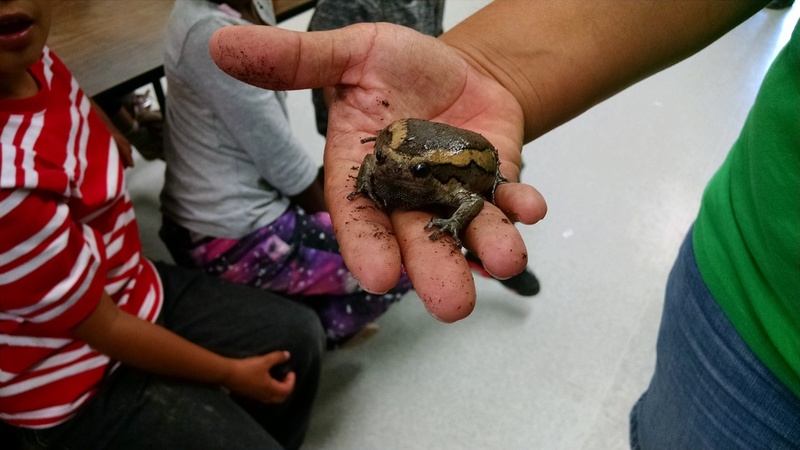 The RISE After School students at Antelope Elementary had an amazing time learning about a variety of incredible animals and their habitat. 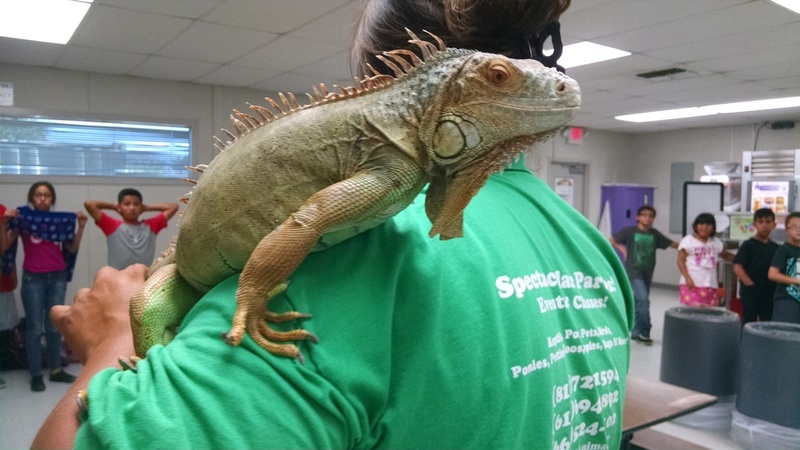 A special thanks to Reptacular Animals for putting on a great show. Congratulation to the students from Alpine, Antelope, Challenger, Daisy Gibson, Keppel Academy, Lake Los Angeles, and Pearblossom! The RISE students at Mesquite Elementary elect grade level representatives to the program's Youth Council. The Youth Council has the opportunity to practice their interviewing and storytelling skills by producing the program's news cast. With the help of the program staff and parent volunteers the students document the program's news, interview staff and students, and even create very imaginative commercial breaks. Great job Mesquite Youth Council!